Recruiters spend a lot of time researching the right candidates for a job and even more time reaching out to those candidates, so it’s no surprise they become frustrated when candidates ignore their emails and LinkedIn messages. While these tried and tested communication methods can be great for engaging high-demand candidates, they aren’t always the best option. People today are busier than ever. If you keep getting no response to your outreach and you’re sure it’s not due to a lack of creativity on your part, chances are it probably has something to do with the other 120 emails that hit your candidate’s inbox on any given day. Reaching out via text message can help you break through the noise and make it easier for potential candidates to engage with you. Believe it or not, sometimes a phone call actually be more efficient than an email — especially when you’re chasing passive candidates who may not be convinced to return your emails just yet. Your leads might actually be thrilled at the chance to have a quick convo with a living, breathing human, so send a text message to invite them to give you a call when they’re available. As with email, the trick is to keep your text short, sweet, and fun enough that it’s hard to ignore. Speed matters. In a competitive talent market, your success hinges on how quickly you can secure the talent you need to keep the business moving. Seventy-three percent of millennials and Gen. Z-ers interact with each other digitally more often than they interact with each other in real life. If you want a faster answer from your young candidates, it stands to reason that text messaging is the way to go. Remember to keep your texts relevant. Don’t send a three-paragraph description of the open role. Focus on moving the lead to the next step in the journey. If the candidate was just looking at your email, ask for a call. If they haven’t responded to your offer, let them know (in a casual, friendly way) the clock is ticking. Nobody likes a never-ending email chain. When the topic is as dull as whether or not they’re available Tuesday afternoon between 3 and 5 p.m., their patience is even thinner. Sending your candidate a link to a scheduling client via SMS puts an end to email fatigue and gets the interview on the books in a matter of minutes. No one wants to show up late for or miss an interview due to scheduling confusion. 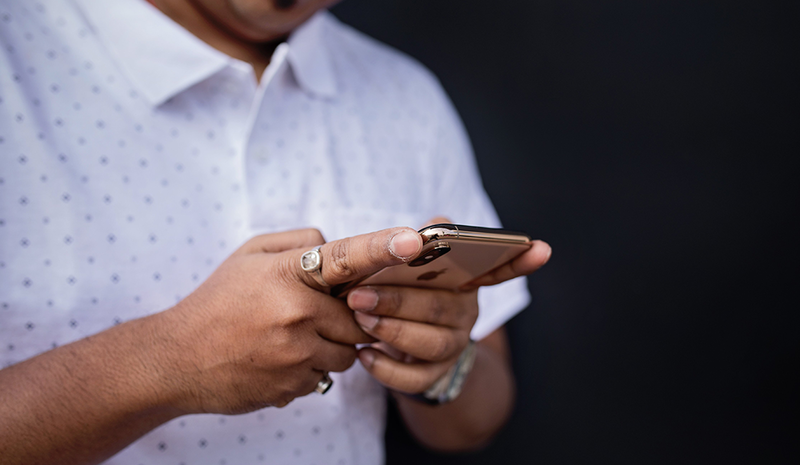 A quick text message is a perfect way to give your candidates a heads-up and ensure they show up at the right place on time. You can also take the opportunity to give them some last-minute tips and a quick pat on the back to send them in ready to win. If candidates are ignoring you because your outreach is too generic, text messages offer an awesome remedy. Unlike a phone call, a text message gives you extra time to think about what you want to say and when is the best time to say it. The easier back-and-forth of text messaging also allows you to send smaller bits of information. Instead of sending an email with 10 bulleted questions, you can ask them one at a time. This keeps your outreach digestible and prevents you from overwhelming the candidate. With certain tools, you can even time-delay your texts so they never interrupt your candidates at inconvenient times, such as during dinner. Text messages make the candidate experience way more awesome by simply shortening the hiring process. Hiring typically involves tons of emails, scheduling, and admin, but SMS can make hiring human again. By communicating directly with candidates through a convenient channel at a time that works best for them, you make it easier for candidates to respond in a timely manner, which shortens the overall hiring timeline. Text messages can help breathe life back into your candidate pipeline. For even better results, consider utilizing software to help automate your text messages. This makes it even easier to integrate this powerful, engaging communication method into your hiring process. Darren Bounds is the CEO and founder of Breezy HR. Darren Bounds is the CEO and founder of Breezy HR, the applicant tracking system that keeps hiring human. As a passionate, design-minded technologist and serial entrepreneur, Darren has more than a decade of experience building HR tech that puts people first. Darren is also the former VP of technology at Taleo, the world's largest provider of HR software solutions. Darren believes great design can save the world and that HR should be human. When he's not building products or businesses, you can catch him playing Overwatch.